A record of his childhood, young adulthood, and twenties, The Best Times is a collage of cherished memories. He reflects on the joys of an itinerant life enriched by new and diverse friendships, customs, cultures, and cuisines. 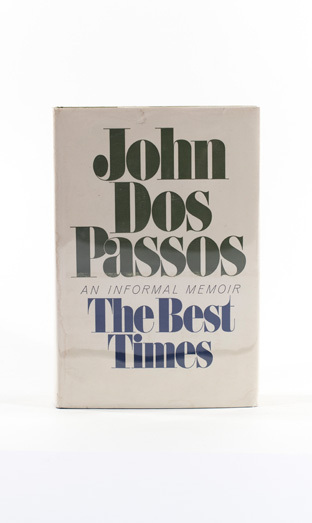 Luminary personalities and landscapes abound in the 1920s literary world Dos Passos loved. F. Scott Fitzgerald, Ernest Hemingway, E.E. Cummings, Gerald and Sara Murphy, Horsley Gantt—they are his beloved friends. Spain, the French Riviera, Paris, Persia, the Caucasus—they are his beloved footpaths.